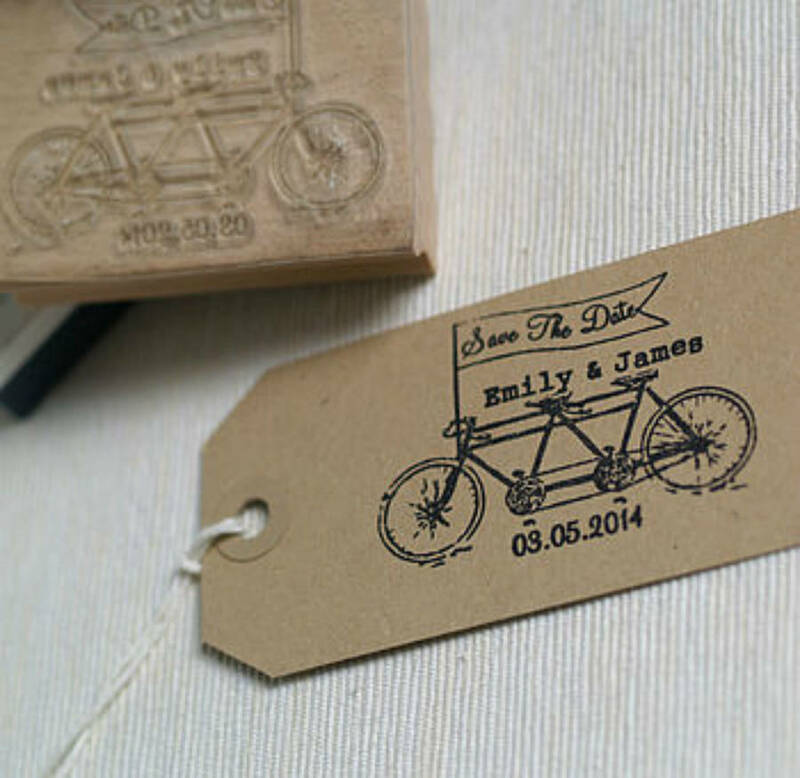 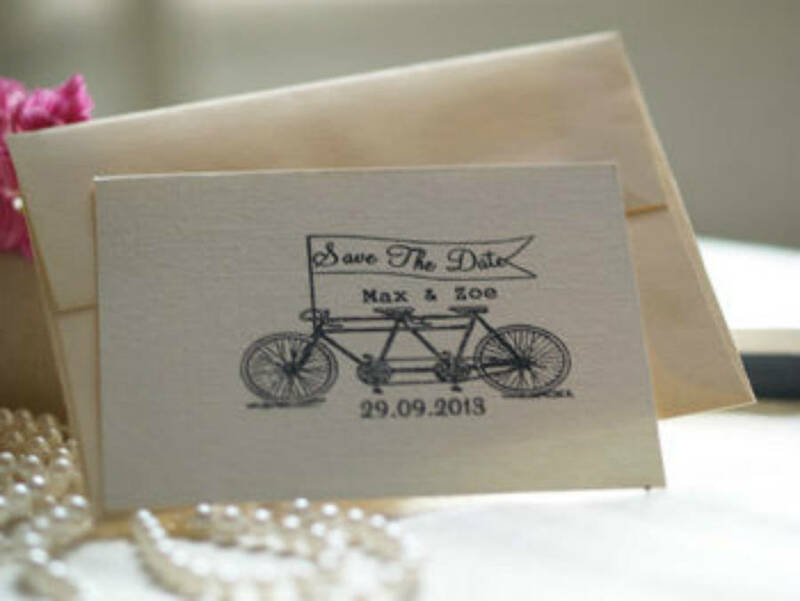 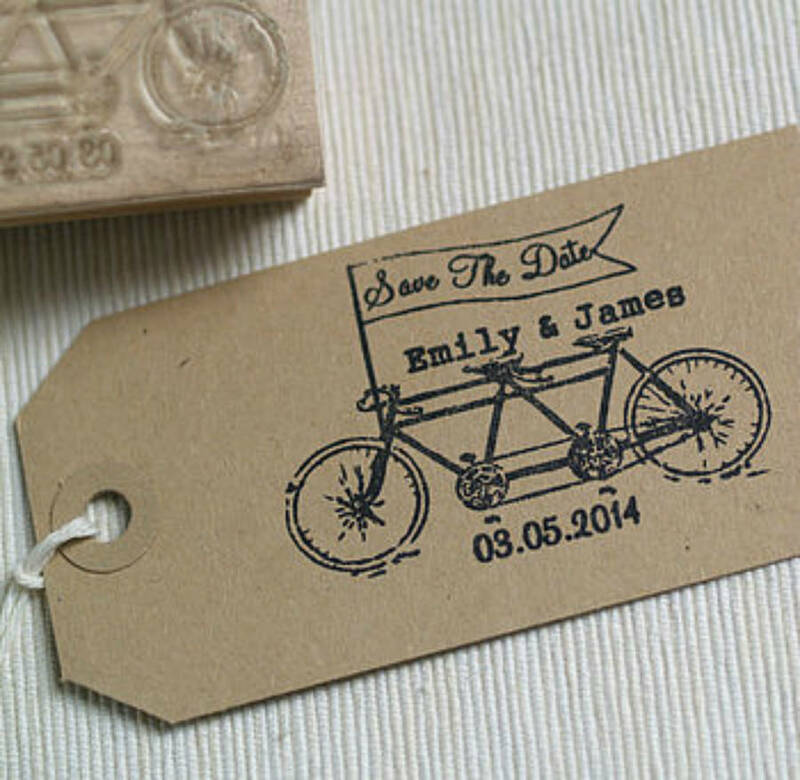 Personalised wedding save the date rubber stamp, with a tandem bike design. This handmade save the date rubber stamp features a pretty tandem bike design fully personalised with your names and your wedding date. 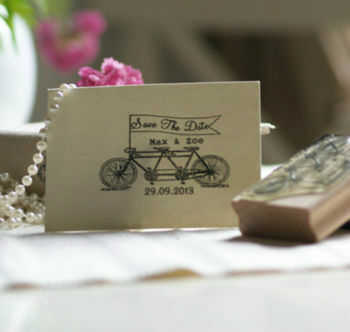 The size of the brown manila tags is 9.6cm x 4.8cm, available to add to your order from the drop down menu. 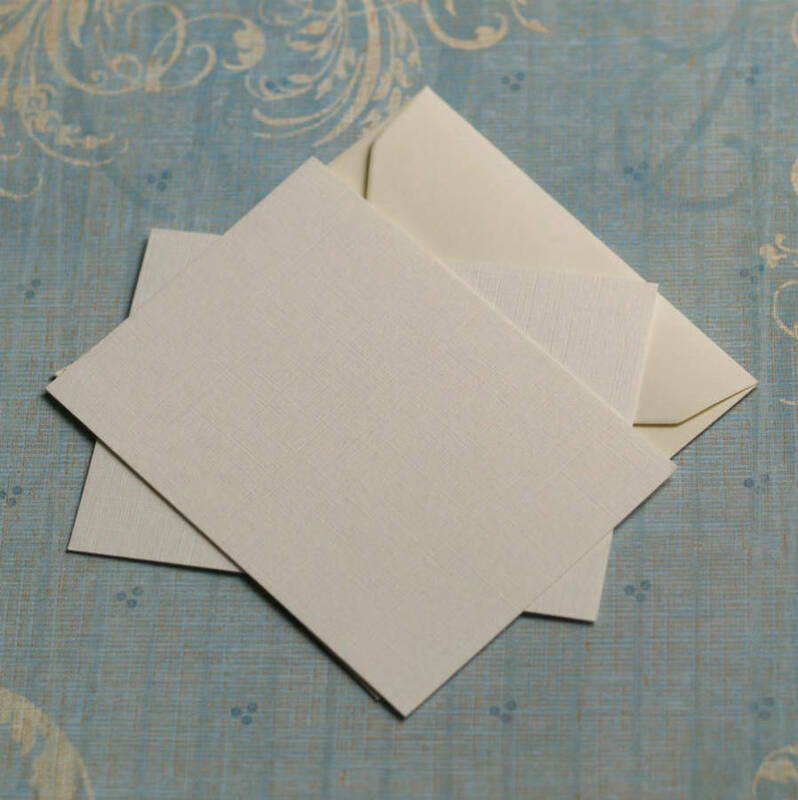 Ivory coloured textured linen effect card with rounded edges A7 size (10.5cm x 7.4cm), with matching Ivory C7 gummed envelopes are also available in packs of 50 (£11.50) or 100 (£21.50) from the drop down menus.